If you like this,share it! 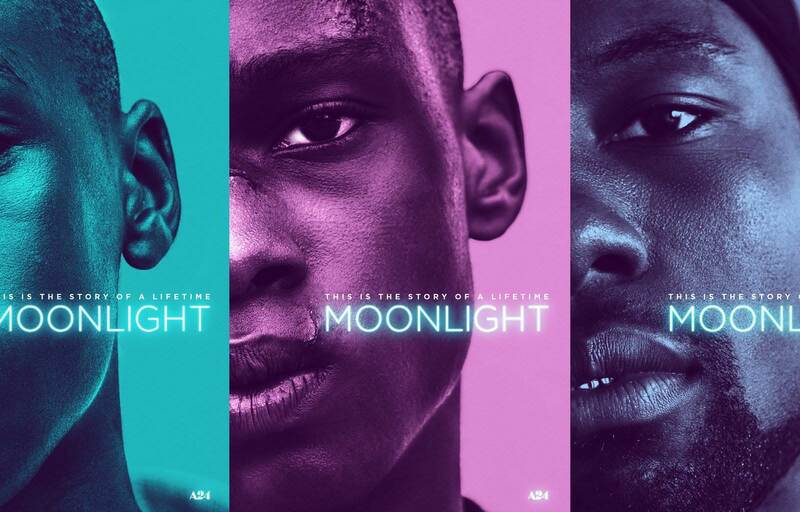 What We're Watching: This month we're watching Moonlight a new movie by Barry Jenkins, a coming of age story that takes place in Liberty City Miami that follows three intricate times in the protagonist's life. The film tells the story of Chiron, who in the film’s first section is seen as a grade-schooler, nicknamed Little (and played by Alex R. Hibbert), who’s neglected by his mother (Naomie Harris), a drug addict; bullied by most of his classmates; befriended by a boy named Kevin (played by Jaden Piner); mentored by a local drug lord named Juan (Mahershala Ali); and nurtured by Juan’s girlfriend, Teresa (Janelle Monáe). The vectors of these relationships run throughout the film, by way of the various characters’ presence as well as their absence. In the second segment, Chiron is a young man in high school (played by Ashton Sanders) whose friendship with Kevin (Jharrel Jerome) becomes sexual and also leads to a shocking act of violence; in the third, he’s an adult, nicknamed Black (Trevante Rhodes), who is following in Juan’s footsteps and, after a long separation, reconnects with Kevin (André Holland). Why We're Watching: Moonlight does many things I have never seen in movies with all Black casts. The love, and pain contrast in ways that I know daily in life, but never get to see happen parallel to each other in Black films. To watch Chiron question his existence in conjunction of following him understand his sexuality. Moonlight was incredibly comforting for me. It filled a void I hadn't known was missing for me, but now that its feel, I need to see this on screen as a common place. I saw a Black man cook out of love for an another man. I saw a black man teach a Black child how to swim. I saw love and pain conflict parallel to each other rather than exist opposite of one another, I saw a Black coming of age story not drag me through the mud with Black pain. I saw masculinity and vulnerability live in one place, in Black men at the same time. I need more of this, I need to see Black humanity in films more often. What To Cut: I wasn't into the ending; I was left unsatisfied for selfish reasons. I became so connected with Chiron that I wanted to follow the story of his whole life. I needed more chapters and wanted to watch him grow old. Great cinema is supposed to leave you wanting more, and Moonlight was successful with that. So, instead of a cut, give me more. . . . .Please! Have you seen Moonlight? Let us know what you think in the comments below!